Please click on one link below. No backbreaking capital requirements; Turn on/turn off subscription ability, multi-user capability and real time analytics. Long-standing processes are obsolete. Welcome to the New Era. Cost-effective SaaS-based approach enables efficient and timely rollout and updates. You have DATA. Copious amounts of it. You need accurate financial measurement. 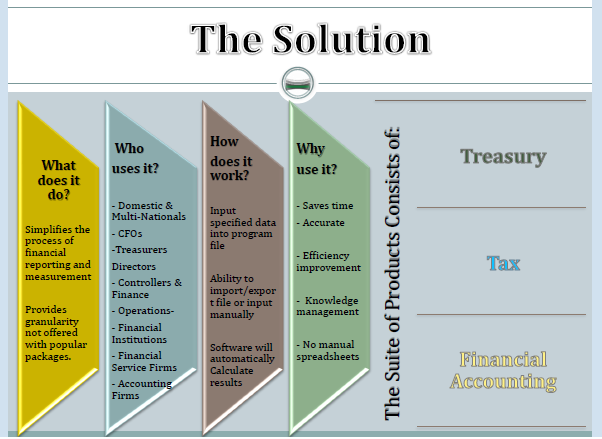 OIKOS Software provides products/services to report and forecast financial measures. OIKOS Software’s mission is to improve process performance and increase key stakeholder satisfaction through logicality and defect reduction. We engage in producing high quality software applications and services, shortening internal cycle processes that impact time value and cost. A solid financial management reporting system improves short & long-term business performance. Strengthens UTP reporting in compliance with tax regulations. The Principle of Determinism: Every outcome is the result of a process being applied to it or determined by the application of a function. Our solutions offer flexibility and expandability to accommodate change and growth. OIKOS Software’s Financial Treasury platform encompasses the Cash Conversion Cycle (CCC) applications; OIKOS Delos, OIKOS Theta, OIKOS Sigma. OIKOS Software’s Financial Accounting platform encompasses Forecast & Planning applications; OIKOS Beta, OIKOS Delta, OIKOS Gamma. OIKOS Software’s Financial Tax platform encompasses tracking and measurement of Uncertain tax position applications; OIKOS Alpha, OIKOS Omega. Our technology goes beyond traditional ERP capabilities. Our solutions increase quality to close and reduce Financial Reporting Fatigue™ endured by financial teams through the reporting and budgeting cycle process thereby allowing focus on more strategic tasks in order to boost departmental efficiency. We offer enhanced reporting analytics for each of the three stages within the cash-conversion cycle which are the critical working capital performers by engaging our proprietary software to yield powerful financial operational results. We offer enhanced reporting analytics for determination of Uncertain Tax Positions thereby increasing the transparency of the tax reserve table from a tax jurisdictional perspective including related documentation and disclosures. Advanced analytics go beyond management’s best determination of a UTP and allows a user to define parameters; i.e. structural type, level of position, and settlement probabilities resulting in a stronger position in recording and monitoring UTPs. This is a whole new level of applying Uncertain Tax Position accounting rules. Business success depends on improving business process through optimization, variation, knowledge, and change psychology. Don’t let ‘Best’ get in the way of ‘Better’. In optimization, the objective of an organization is the optimization of the total system and not the optimization of individual subsystems. In variation, the focus is on improving the service variability in design and quality of internal processes. In knowledge, copying a best practice without understanding the theory behind it could be devastating for an organization. In change psychology, understanding people and the interactions between people. Our software pricing accurately reflect the value we deliver - and give customers greater choice with their software spend.